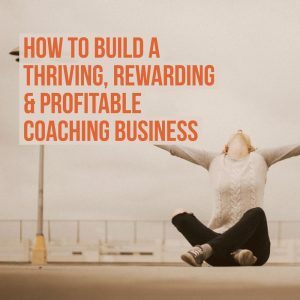 Your Thriving, Rewarding & Profitable Coaching Business... - Coach & Grow R.I.C.H. Did you know that there are 7 KEY areas you need to focus on to build a thriving, rewarding and profitable coaching business? It’s true… And I’ll be revealing them in a master training class. Join me in the master training class for free here. P.S. When you join me on the training, you’ll also get a fill-in-the blank handout and a special gift for attending that will help you lay the foundation for creating a thriving coaching business that you love!